I have been teaching first grade in Edgewater for 7 years. Before that I worked in online advertising. My neighbor mentioned the club to me and said I should look into it. I was nervous going to my first meeting but once I was there I knew immediately I wanted to be a part of the club because everyone was so friendly and welcoming. My favorite part of joining the club has been making so many new friends and now feeling like I am really a part of this wonderful close community. We moved here from Hoboken. We didn’t know much about Ho-Ho-Kus before we moved here- our realtor suggested it and we just really liked the location and thought the town was cute. Now that we have been living here we love it! Everyone in town is so incredibly friendly and we love all the events the club organizes such as the Progressive dinner, Halloween parade and Breakfast with Santa. My husband and I often say that Ho-Ho-Kus is an absolutely idyllic town. 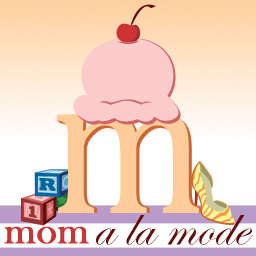 Our favorite restaurants to go with my son are Raymond’s, Amici, and Le Bon Choix. If we are lucky enough to have a date night we like St. Eve and The Inn. 5. What are your family’s favorite Winter activities? We aren’t really a winter loving family- we prefer summer! When our son gets older hopefully we will get back into skiing but until then our favorite winter activity is hanging out with friends and drinking wine. I lived in Sydney, Australia for a short time. I was a nationally ranked youth tennis player. I have celiac disease and need to eat gluten-free.